Meadowstone Farm offers 3-5 positions for interested folks each season. Duties include picking rocks, pulling weeds, chasing pigs, gutting chickens, singing in the rain, taste-testing tomatoes and all other duties deemed essential by management. Pay is $8-10/hr and some summer housing is available in lieu of a wage portion. The best time to contact us for employment is early spring. We offer various opportunities for folks looking for an agricultural experience, ranging from a weekend crash-course to a couple months internship type arrangement. 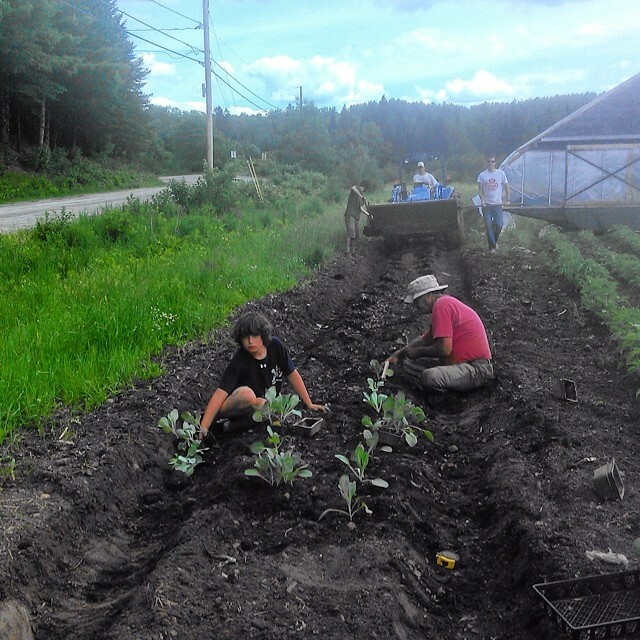 Expectations vary depending on how long WWOOFs are staying, but in general expect to work 4-6 hours a day in exchange for summer housing, farm food, and a small stipend to buy additional foods in town. Facilities include a shower, composting toilet, kitchen and Wi-Fi. Download our WWOOF questionnaire here and see below for pictures of housing options. A little video tour of the "ghetto" by a past WWOOFer, Susan Baxley, can be seen here. Join our Email List for updates on what we have available in the farm stand, events at the farm and more!